As a theorbo player I get asked lots of questions about my instrument. Do you play all of them? Why is it so long? How, exactly, do you play it? Was it a usual member of a baroque orchestra? Do you ever wish you played the flute? I do try to answer all these questions as I get asked, but for those of you who didn’t get a chance to ask, or for those who would like to know more, I’ll do my best to explain a little bit about the theorbo. 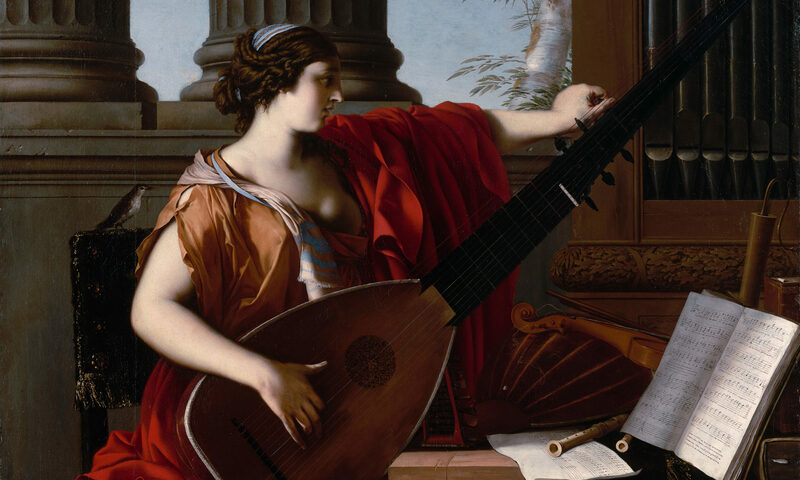 The theorbo, one of the largest members of the lute family, was a new kind of instrument conceived in Florence during the late 16th century to accompany a new style of vocal music known as ‘stile recitativo’. Owing to its gentleness and depth of sound it was considered the perfect accompaniment for the human voice. This theorbo was gradually adopted (and in most cases, nationalised) by every European country over the course of the 17th century. The first theorbo to reach England in the 17th century was destroyed at port as is was assumed to be a weapon! How many strings does it have and do you play all of them? One single string at the top (ie: the highest pitched string) followed by six pairs of strings (the pairs are always played together, like on a mandolin) and seven long bass strings. I do play all of them. My other theorbo has sixteen single strings and is a copy of an Italian instrument from 1610. This one has six strings at the top and ten long bass strings. How is it tuned and why is it so long? Historically there are several different tunings for the theorbo. The top five strings (ie: the five highest strings in pitch) of my 18th century theorbo are tuned to a chord of d minor and the rest are tuned in a descending scale (like a harp). The reason why it’s so long is due to the gut strings that musicians used at that time. With any kind of string, in order to get a lower pitch you have to increase the thickness (diameter). For a gut string, the thicker the string the duller the sound. If however you could increase the length of string then you can have a thinner string for a lower note and therefore a much better sound. Modern concert harps and grand pianos still follow this principle: the lower the note, the longer the string, therefore the quality of sound for the lower strings doesn’t deteriorate. The long bass strings of a theorbo – also called diapasons – are played with the thumb of the right hand and are never stopped with the left hand. The top strings are played with both hands, where the left hand makes the chord shapes and the right hand plucks the appropriate strings, like a guitar. 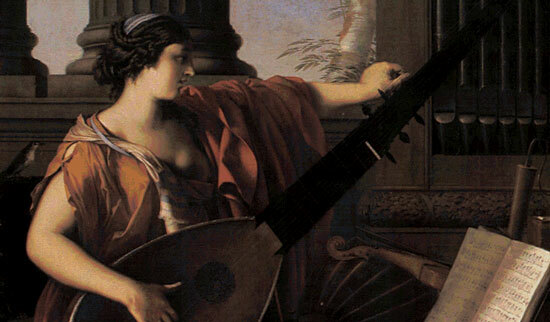 Historically, the theorbo could be played with or without fingernails. Yes, we have records of many baroque orchestras that used theorboes. Corelli used as many as five, Vivaldi as many as four. Händel and his theorbo player in London read from the same score and Telemann usually had two in his orchestra. Only when I’m at the airport.